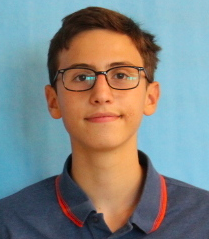 William Matar ’21, or Will for a short, is an assistant business director for Inklings and is excited to begin working on the Business team. He joined Inklings because he has always wanted to be involved in an organization e that helps spread information to the public. “With everything happening in the news right now, I just want to be apart of a newsource, and especially having role with business makes things different” Matar ’21 says. Besides Inklings, Will is also an enthusiastic member of Staples Players and is currently training to become stage manager, since backstage work is one of his passions.